This page presents an overview of the development of intellectual abilities. Children are not little adults. Until they reach the age of 15 or so they are not capable of reasoning as an adult. The following information is based on the work of Jean Piaget. He was not a psychologist. He was a developmental biologist who devoted his life to closely observing and recording the intellectual abilities of infants, children and adolescents. 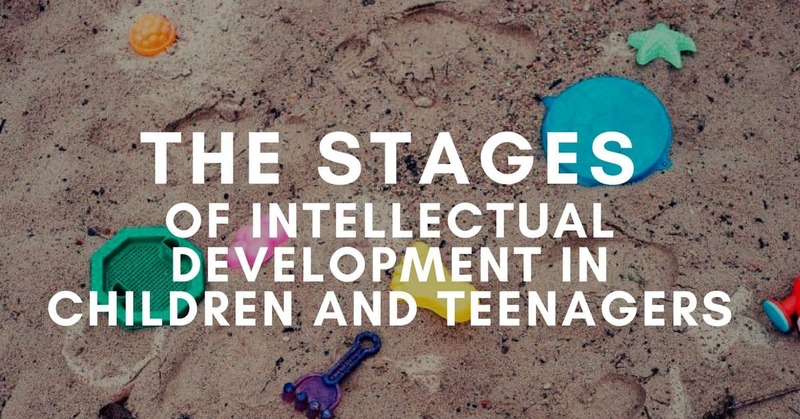 The stages of intellectual development formulated by Piaget appear to be related to major developments in brain growth. The human brain is not fully developed until late adolescence or in the case of males sometimes early adulthood. We often expect children to think like adults when they are not yet capable of doing so. It is important that parents know what to expect from their child as they develop and to be sure that the expectations they may have for their child at a given age are realistic. (0-2 months) Simple reflex activity such as grasping, sucking. Primary Circular Reactions(2-4 months) Reflexive behaviors occur in stereotyped repetition such as opening and closing fingers repetitively. (4-8 months) Repetition of change actions to reproduce interesting consequences such as kicking one’s feet to more a mobile suspended over the crib. (8-12 months) Responses become coordinated into more complex sequences. Actions take on an “intentional” character such as the infant reaches behind a screen to obtain a hidden object. (12-18 months) Discovery of new ways to produce the same consequence or obtain the same goal such as the infant may pull a pillow toward him in an attempt to get a toy resting on it. (18-24 months) Evidence of an internal representational system. Symbolizing the problem-solving sequence before actually responding. Deferred imitation. (2-4 years) Increased use of verbal representation but speech is egocentric. The beginnings of symbolic rather than simple motor play. Transductive reasoning. Can think about something without the object being present by use of language. (4-7 years) Speech becomes more social, less egocentric. The child has an intuitive grasp of logical concepts in some areas. However, there is still a tendency to focus attention on one aspect of an object while ignoring others. Concepts formed are crude and irreversible. Easy to believe in magical increase, decrease, disappearance. Reality not firm. Perceptions dominate judgment.In moral-ethical realm, the child is not able to show principles underlying best behavior. Rules of a game not develop, only uses simple do’s and don’ts imposed by authority. Evidence for organized, logical thought. There is the ability to perform multiple classification tasks, order objects in a logical sequence, and comprehend the principle of conservation. thinking becomes less transductive and less egocentric. The child is capable of concrete problem-solving. Class logic-finding bases to sort unlike objects into logical groups where previously it was on superficial perceived attribute such as color. Categorical labels such as “number” or animal” now available. Thought becomes more abstract, incorporating the principles of formal logic. The ability to generate abstract propositions, multiple hypotheses and their possible outcomes is evident. Thinking becomes less tied to concrete reality. Formal logical systems can be acquired. Can handle proportions, algebraic manipulation, other purely abstract processes. If a + b = x then a = x – b. If ma/ca = IQ = 1.00 then Ma = CA.